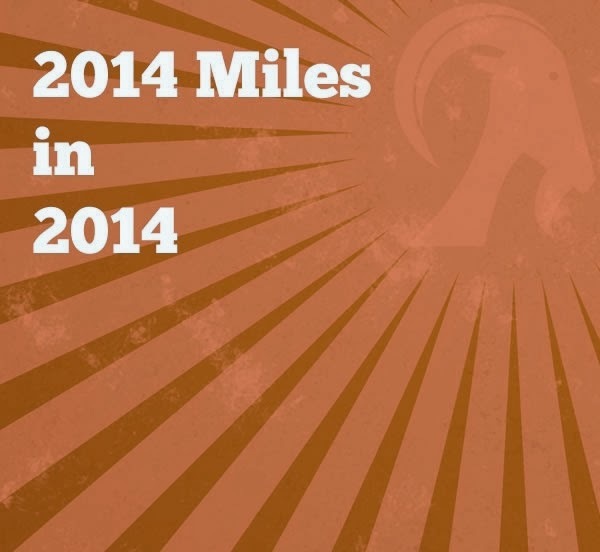 2014 miles in 2014 - April update! As many of you will know this year I have set myself two goals to aim for! Only 1349.82 miles to go! Only 598.82 miles to go! Tonight I went for a run in the evening sunshine although it was very muggy with it! I decided to investigate the Kendal 10K run route as the race is on next week. The route takes you along mainly narrow country roads and I was amazed by how many people think there isn't enough room to get past a runner in a car! I felt like they were expecting me to climb a tree to get out of their way! My pace slowed significantly as I had to stop several times whilst cars inched their way past me when in actual fact there was enough room for a Double Decker bus! Whilst I was running along the canal path this big friendly lolloping dog started to run alongside me! I didn't feel threatened at all but was worried that it would get lost! I slowed and turned around to see where its owners were and this stupid woman shouted "STOP! or he will just keep running with you!" I obediently stopped but the woman just strolled up to him and said "come on" to him and didn't bother putting him on a lead so consequently when I started running again he followed!!! GRRRRR!!! This time when she managed to get hold of him she kept hold until I was well gone! Do some people have no sense? Despite these little setbacks I did enjoy it and managed 7.38 miles although much slower than I would have liked! I am so proud of my work colleagues and very excited that I have managed to inspire and motivate them! I usually keep my running antics out of work conversations as in the past I have been met with "it's bad for knees, joints etc" comments and it just annoys me. BUT on sports relief day a few weeks ago everyone came dressed in running gear so as a joke I put up a notice saying I was starting a couch to 5K running club after school on a Monday and to sign up if interested. Tonight was our first "off the couch" running club and 14 turned up!!! We are following a Couch to 5K plan and tonight they ran for a minute and walked for a minute and a half for 8 sets. We did 1.5 miles and although they were all red in the face and huffing and puffing they did it and were laughing and smiling afterwards! It was fantastic to see a range of ages from 25 up to 55 all doing something new together!! I have set them homework to go out on their own and repeat the same workout once or twice more this week! I am feeling quite emotional that they want to do this because of me!!! I really really hope that they all come back next week and get to love running as much as i do! 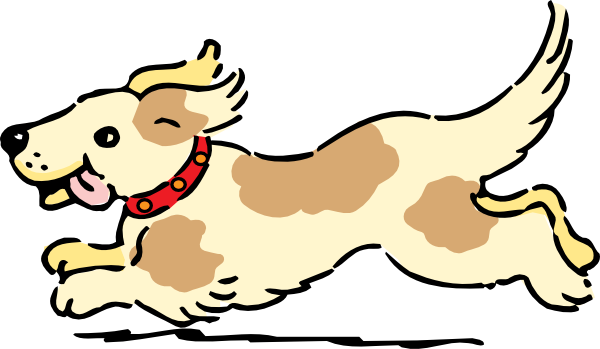 Next week it's Bank Holiday Monday so "off the couch" is postponed until Thursday! It will be interesting to see how many return for week 2! Later on I went to the tri club swimming session! After the awful swim experience I had in the triathlon yesterday I was feeling very nervous about getting back in the water but decided if I didn't do it immediately I might never swim again! For the first couple of lengths I was transported back to the race! I couldn't breath properly, my legs felt like lead and my arms didn't seem to work! However, after thinking my confidence had gone forever I regained my composure and enjoyed the rest of the session and didn't even think about it being a problem! I did 1750 metres! Obviously my problem is a mental thing! I'm not quite sure how I am going to control my nerves in future events! Well, today I finally did it! You can read all about my highs and lows by clicking here! 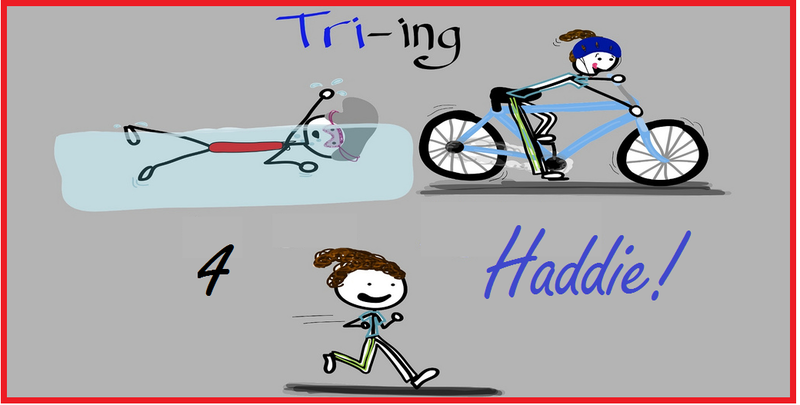 BUT ... my slobbing days are going to come to an abrupt end in approximately 14 hours when I tackle my first "proper" triathlon! Kendal Sprint! It worries me that they call this distance a sprint cos there is no way I will be sprinting especially not after swimming and cycling! I am feeling extremely nervous! Anyone would think I was about to embark on an Ironman distance triathlon instead of just a sprint! I think I am more nervous than I was for the Marathon! a) The weather! Rain and wind seem to feature highly in the reports I have read about previous Kendal Tri's! b) Getting out the pool in the deep end without the use of steps! I have the feeling I will look like a wallowing elephant! c) Punctures! In the past week I have had 2! However, I have set myself a goal time to hopefully finish this Tri in! Goal Finish time: 1 hour 40 minutes or just to have fun!! My wave starts at 8am which means that I will hopefully be finished by 10am and will have the rest of the day to chill! Once I get up there will be no time to stress! After getting new tyres on my bike yesterday I decided that I had to test them out before the triathlon on Sunday to make sure everything was fine and dandy. So this morning off I set with the intention of doing a cycle/run brick session. I set the garage up as my transition area with trainers, T shirt and drink etc and off I set to do the triathlon cycle route. No sooner had I set off and it started to drizzle! I hate cycling in the rain but I decided I had to persevere just in case its raining on Sunday! The roads were relatively quiet and the rain thankfully stayed as a drizzle until the last 3 or so miles when it got fairly heavy! When I got back home, after cycling 13 miles I was wet but not to be deterred I threw my bike into the garage, had a few quick slurps of water, changed into my running shoes, took off my wet cycling jacket and put on a dry T Shirt. Within 2 minutes I was ready to go again back out into the rain! Although my legs had felt tired at the end of the cycle they didn't feel at all tired during the run and I yet again had a good one! Thankfully the rain stopped after the first mile and it actually got out to be fairly warm! I was pleased I had removed my jacket! With the cycle and run I did 17.06 miles in 1 hour 34 minutes. I did the 4 miles running at a 8:23, 8:09, 8:48, 8:27 minute mile pace! I would be delighted with this pace just on a run without cycling first! Here's hoping my legs do the same when it matters on Sunday and the swim before it all isn't a step too far! I wasn't going to stay up until midnight to enter the London Marathon as I didn't think I was really that bothered! It can wait, the ballot won't be full by the time I get up at 8am! Last year it wasn't full until 11am! But then at 12.45 this morning I woke up with a start and the first thing that came into my head was "I've gotta enter The London Marathon". Thank you for entering the ballot for the 2015 Virgin Money London Marathon. We'll let you know in early October if you've secured a place - you'll receive a magazine through the post letting you know if you've been successful." Now for the 6 month long wait! On Sunday the 26th April 2015 will I be in London or will I be disappointed ... again? After my disastrous ride last week when I got a puncture 20 miles in I decided to go for another ride this morning. With a new inner tube and new slime I was feeling fairly confident that everything would go smoothly and obviously didn't learn anything from last week's experience as I still didn't take a spare tube or pump with me! It was another sunny bank holiday (that's 2 in a year, must be a miracle!) and I planned on doing a 20 miler. Apart from one slightly unnerving horse incident I really enjoyed the ride! Cycling merrily down a narrow country lane I could see a group of 3 horses side by side up ahead so I slowed down to allow them to get in single file. They did and waved me past. Just as I approached, the middle horse got the jitters and mounted the front horse who took off like a bullet which caused the back horse to prance about! I stopped immediately until they were under control again and luckily everyone was OK. The riders thanked me and apologised but it did scare me a little. I was surprised how quiet the roads were on a sunny bank holiday! I thought I would pass lots of cyclists or runners if not cars but I think everyone must have been relaxing in the garden! It was relatively warm but very, very windy and at times it felt like I was in a tumble dryer with hot air circulating around me! Better than a freezing cold wind mind you! About half a mile from home my back wheel started to make a funny noise but i couldn't pinpoint what it was. With being so close to home I just tried to ignore it and continued on my way! I couldn't believe it when I got home and felt my back tyre and it was flat - AGAIN! I had cycled 21.6 miles, luckily I hadn't planned on another long ride or I would have been stranded again! I know that the roads around here are very very potholed and are in a dreadful condition but I do try to avoid as many rough patches as possible so why was I getting these punctures and why wasn't the slime working? Anyhow, dragging my husband out the garden to "sort it" we discovered that the inner tube had a large slash in it which is probably why the slime didn't clog it and the actual tyre was cut too! I must have gone over something exceptionally sharp! Anyhow, we made a quick trip to Evans cycles and decided to buy 2 new tyres as the front one was also fairly worn, as well as 2 new slime filled inner tubes! After much debating I got 2 "Continental Gatorskin Duraskin Wired Tyres" which apparently have a protective shield over the entire casing to prevent cuts, punctures and abrasions. So together with slime innertubes I should be fully protected! 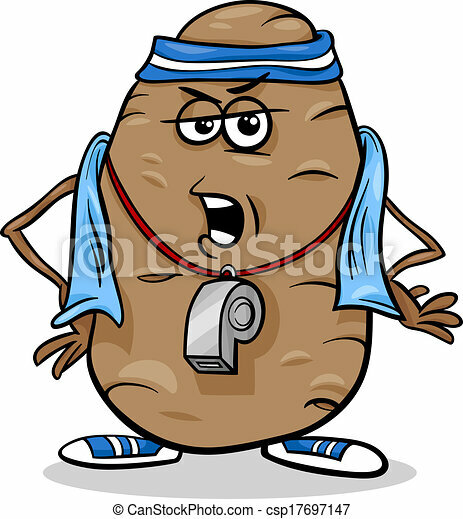 I am beginning to stress that my triathlon efforts on Sunday are going to be sabotaged by a malfunction in equipment! Fingers crossed it is now sorted! and a very busy day visiting relatives! However, before sitting around over indulging with too much wine, food and chocolate I thought I had best slip some exercise into the mix so I wouldn't feel so guilty! 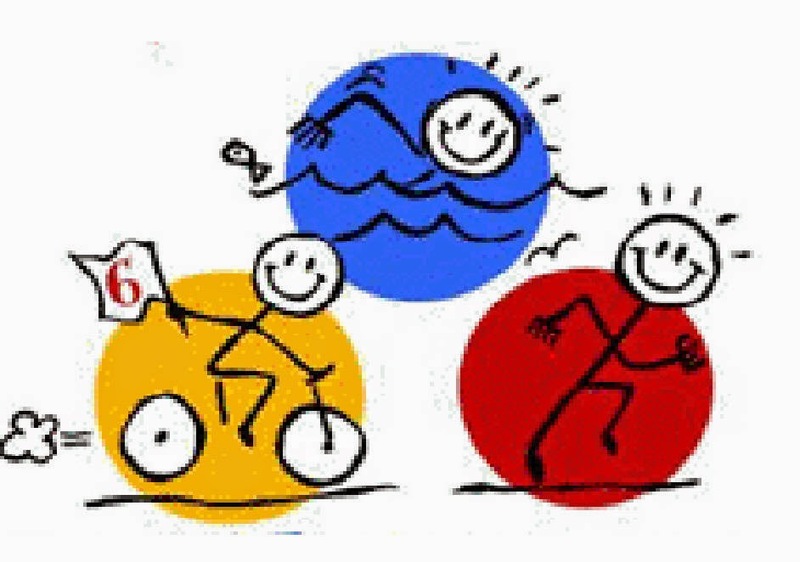 I decided that since it's a week today until the triathlon that I had better get some swimming in! Off I went at 9 O' Clock and the car park was dead! My initial thoughts were "It's closed because its Easter Sunday" but off I went in to investigate. It was open and it was surprisingly busy! Everyone must have been super healthy and walked! I decided to do sets of 16 lengths or 400 metres as this is the distance of the swim in the tri. I decided to swim with my "Finis Tempo Trainer Pro" under my hat to try and keep a consistent pace. There are several different modes to work with but I always set it to bleep after so many seconds to indicate a timed length. So, for example, if you were aiming to hit 25m at, say, 35 seconds, then you set the TT to give a discrete triple bleep every 35 seconds. As you approach the wall for the 25m split, if it bleeps before you hit it, you're slow; if you make the turn before the bleeps, you're up on your target. 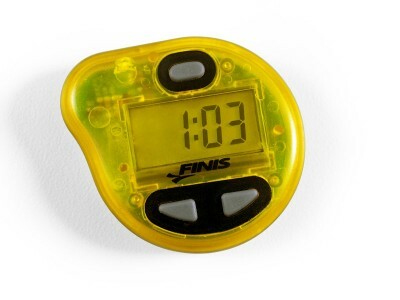 This gives you a very good sense of whether you're dropping pace over the course of a long swim. I find it keeps me more focused and stops me from drifting off the pace; and it gives very precise feedback without having to look at a clock or watch. However, with other people around (and getting in the way!) its a little more difficult to keep a consistent pace but I tried to keep on track! I was so focused on doing sets of 16 I lost count of how many sets I had actually done! I don't like fiddling with my poolmate watch too much in case I end up pressing the wrong buttons and losing all my data so I just swam until I couldn't keep up with the TT anymore and once it was beating me on every length I knew it was time to quit! When I got home and uploaded my swim I was amazed to discover that I had actually swam 2800 metres or 1.74 miles which is 112 lengths and the furthest distance I have EVER swam! The chart below shows my times for each set and I managed to stay fairly consistent over such a long distance! I'm quite impressed with that! We were delighted to wake again to another glorious day and decided to tackle another Wainwright. Lunch made and packed and we were off! Half way down the motorway there was a sign flashing to say the A66 was closed. Unfortunately it was the A66 we were heading for. So with some quick thinking we devised a different way to go and continued on our way. Unfortunately, everyone else had come up with the same plan so the usually quiet country roads were gridlocked. We inched our way along feeling exasperated to be stuck in the car on such a glorious day. we decided to take a swift right turn and change our plans! We managed to park at Mungrisdale and had a lovely 5 mile walk up Souther Fell, which is one of the lower Wainwrights! It wasn't the one we planned to do but it was a lovely walk and very enjoyable. You can view it here! Today is Good Friday and it has been unusually sunny for a bank holiday! 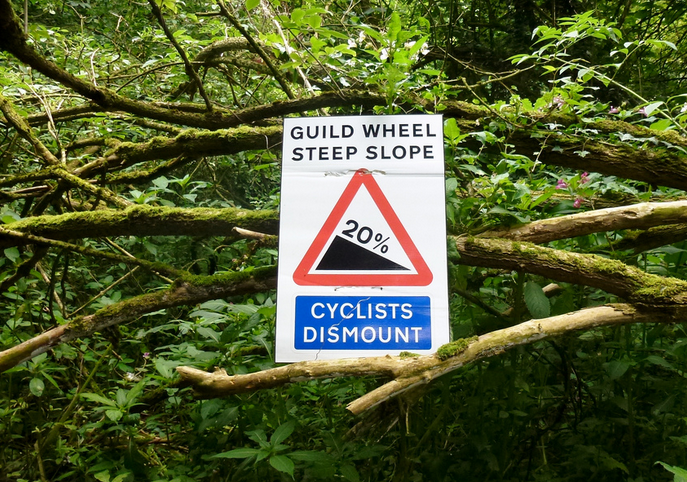 My husband decided he wanted to go out on his bike, but as he's not a confident rider we decided to do The Guild Wheel as this is mainly on off-road tracks and paths and we have never done it before! 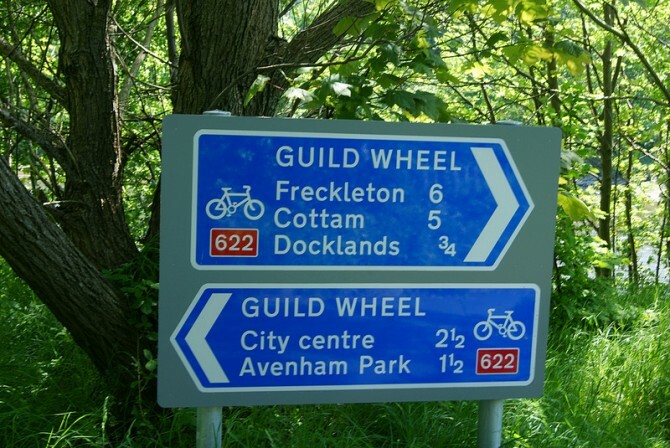 The Guild Wheel is a cycle track that circles Preston in Lancashire. 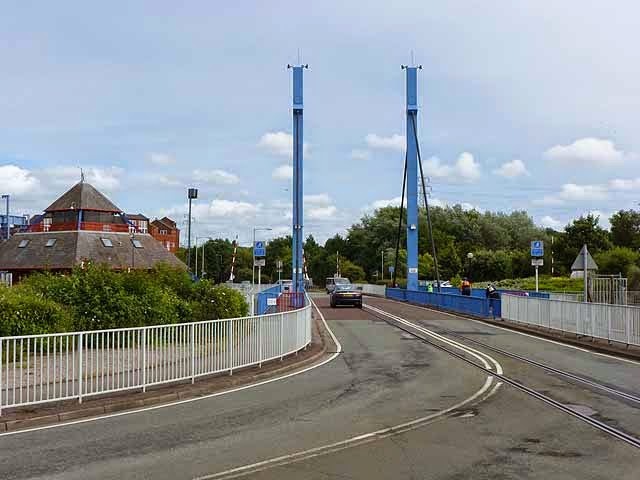 The 21 mile route takes in Preston docks – the largest 19th Century dock in Europe, the Lancaster Canal, country lanes in Woodplumpton, Brockholes Nature Reserve, the River Ribble and the beautiful Fishwick Bottoms. As my husband is a bit of a couch potato he struggles to keep up with me on a bike so he insisted that I went on my heavy mountain bike with thick tyres rather than my lightweight road bike with slick tyres! He has a hybrid bike so had an advantage over me! After loading the bikes into the car we set off from our home in Kendal at around 11am for the 40 mile journey to where we planned to start the ride. We got parked easily and were soon ready to go and the sun was still shining! We didn’t know the best or easiest direction to take, so we set off anti-clockwise from Broughton. Most of the route was on good tracks and trails but was very busy with other cyclists and walkers. I suppose being a sunny Good Friday everyone else had the same idea to get out and enjoy the sun! The route was well signed for most of the way but there was one point at around our 4 mile mark where we did go slightly wrong but about half a mile further on we realised and turned back and got on the right track again! At one point I was shaken up when we came across several teenagers speeding through the trails on motorbikes. They didn't appear to have any control and none of them wore helmets! Luckily I was able to get out of their way, but with it being so busy it was an accident waiting to happen! At about 9 miles we came to Preston Docks. We had timed it very badly as the road bridge was just on its way up to allow boats to go through. I thought this would be a fairly swift operation but I was wrong! There seemed to be a backlog of boats waiting and they didn't seem in any hurry to put their foot down to get through! Once all the boats were passed it seemed to take an age for them to bring the bridge down again and for us to get the green light to go ahead! Once through this there was then quite a lot of busy roads to navigate. There was a cycle crossing at each set of traffic lights but this section was very stop/start and was my least favourite! Not long afterwards I was delighted to see a Ribble Steam Railway train puffing its way towards me as I cycled, with its passengers waving as they passed! At around 11 miles we came through Aveham Park and decided it would make an ideal picnic spot for lunch! It was very difficult to get back on the bikes after sunbathing and relaxing for a little too long! 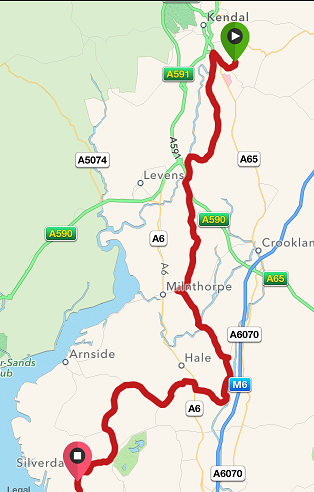 The route then follows the general direction of the Ribble Way and is often by the river to reach the A59 Brockholes Brow. Passing under the A59 road bridge the path then continues to the Brockholes Nature Reserve and onto red Scar woods where there is a very steep climb! This sign was at the top which just goes to show we went round in the wrong direction! If we had gone clockwise I could have whizzed down it instead of huffing up it! The only part of the route that I found difficult! After feeling exhausted after battling with this climb we coincidentally came across Preston Crematorium I'm not sure I felt very respectful cycling through the Crematorium but that's the way the route went! We were soon back to the car after an enjoyable ride, although I don't think I would cycle it again! We added an extra mile to the route with getting lost. Once back home it was time to relax in the garden with a cider! You can view our route here! Another sunny day and it is still the Easter Holidays! I truly hope this little bit of sunshine isn't going to be our Summer!!! After studying my racing calendar last night I was a little surprised to see that my first 10K TRAIL race is now just 6 and a half weeks away! How did that come around so quickly?! Considering that I have only ever done ONE off-road run I decided that I had best pull my finger out and do some trail training as I am not a natural mountain goat! Inspired by the sunshine I set off in the car to a place I am familiar with as we often walk the dog in this area! Feeling confident that I knew the way off I set, nervous initially about running off-road on uneven ground in case I injured myself! Although I wore my Garmin I knew it was pointless worrying about pace as I was not going to be able to run my normal road pace off road so I just relaxed and enjoyed the scenery and listening to the welcoming bleating of the lambs! After a while my nerves went and I had no problems navigating around rocks and tree stumps, I just left my ego behind and slowed when necessary! The only thing I felt uncomfortable with was coming down rocky hills! I was frightened of just letting go in case I landed flat on my face! I dare say with practice my confidence will grow! After about 3 miles I arrived somewhere but it wasn't the place I was heading! I was confused! I must have missed a turn-off somewhere! Rather than risk getting lost further I opted to retrace my steps and go the same way back! Not quite the circuit I had planned but enjoyable all the same! The route was a good mix of terrain including track, muddy parts, rocky patches, open fields and hills so lots to keep me entertained! I managed 5.85 miles and loved this new trail running experience even if I did get lost! What made me even happier was I didn't encounter any cows! I hate cows! Tonight I also went to Yoga, where we did a lot of twisting poses! I came out feeling very chilled and felt 6 foot taller! Brought to an abrupt halt! 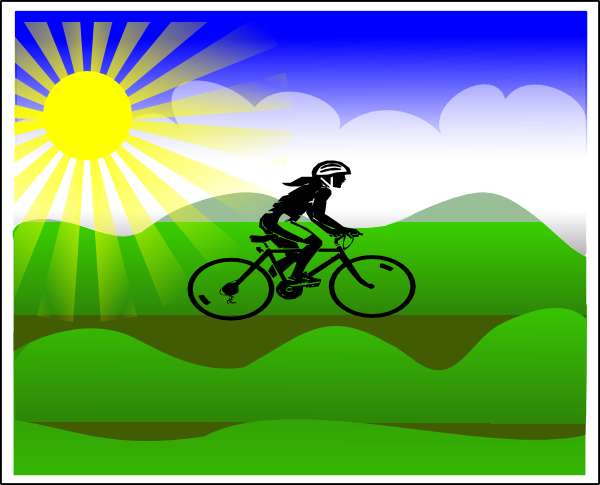 Today was such a gorgeous sunny day I decided to go for a "longish" bike ride! I made some sandwiches, prepared some snacks, packed my drinks, pumped up my tyres, checked my bike etc and I was soon ready for the off and the sun was still shining! I decided that to head into the lakes in the Easter Holidays wasn't a good idea so I headed towards Arnside instead, which doesn't attract the tourists the same. I just wanted to enjoy the ride and scenery so wasn't interested in my pace or cadence or any other numbers my Garmin cared to flash at me. I was out in the sun on my bike and that's all that mattered. I had cycled about 19 miles when I started to think I was maybe slightly lost! This was confirmed to me when the road I was on came to a dead end! I wasn't too perplexed and turned around and headed back up the hill I had just enjoyed coming down! However, my bike started making a funny scraping sound. I thought perhaps the brakes had "stuck-on" after I had been frantically pulling on them during my descent so I stopped to give my bike the once over! The brake pads were OK but then I casually squeezed my back tyre and was dismayed that it was as flat as a pancake. Being a right girl I don't carry a spare inner tube or a puncture repair kit because basically I wouldn't have a clue what to do with them! I've always felt fairly confident that I wouldn't get a puncture as my tyres have slime in them which is supposed to plug any holes that develop! Evidentally NOT! Unless it has so many holes that the slime has run out ... who knows! Anyhow I did a recce of my immediate surroundings - if I had any hope of being rescued I would need to give my location and at this point I had absolutely no idea where I was! Thankfully there was a sign by a gate with "Ridgway Park School" on. At least I could give some indication of where I was even if I didn't know where that was! a) I had a signal in such a remote place. b) He answered the phone. c) He was able to down tools and come and get me. d) He knew where Ridgway Park School was! I was relieved to have a signal, but then was slightly stressed when my husband didn't answer the phone! Luckily, he was just on another line and rang me back. Things were looking good when he said he would come for me but he had no idea where the school was! "Selfie" having lunch in the sun! The remote road where my puncture happened! Thankfully Google and Tom Tom together guided him to where I was enjoying my lunch in the sun! The beautiful spot I found to picnic whilst I waited to be rescued! When my knight in shining armour arrived, (which was very impressively within 30 minutes) I decided just to throw the bike in the back of the car and give up on finishing the ride! My husband didn't really want to start changing a tyre dressed in a suit and tie! Prior to this little disaster I had done 19.45 very enjoyable miles and I feel somewhat cheated that I couldn't continue! Learn to repair a puncture and change a tyre or at the very least carry spares so I can flag down a helpful looking cyclist who would be willing to help a damsel in distress! A run, lunch and a hot date with Gary! What a busy day I have had today! When I got up I decided to go for a quick run. The sun was shining and I felt fairly energetic! I opted for another circuit of the triathlon run route to get me used to it before the day, however with starting from home it was 1.5 miles further than the official route. I didn't feel like I was flying today like I did when I did my brick session but neither did I feel sluggish! I was pleased to see I had managed to maintain an average 8.42 minute mile pace, with my fastest mile being a 8:21 min/mile pace. I was straight in the shower and dressed ready to meet my friend Lynsey for lunch. 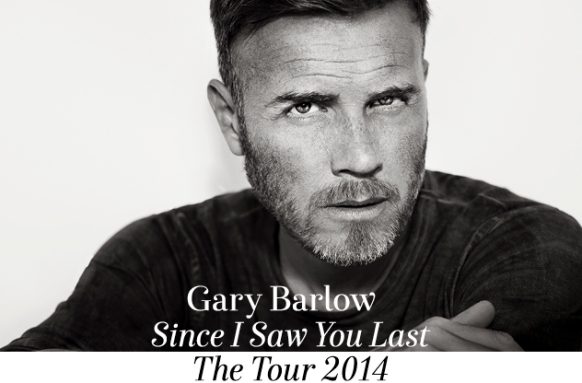 We had a lovely catch-up and before I knew it it was time to head to Manchester to see Gary Barlow in concert at the MEN! However, we still had plenty time for dinner and cocktails at TGI's first! Food was excellent, cocktails were wonderful, service was pants but Gary Barlow was phenomenal! Much better than Robbie in concert! I would definitely recommend if you get the opportunity to go! I have just hit 30,000 page views! 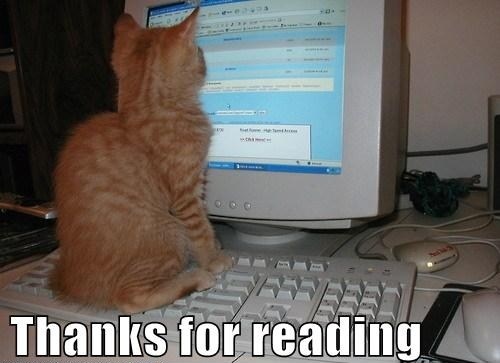 Thank you everyone for reading my blog or at the very least logging in!! !